This long-lasting truck provides safe and efficient movement of your goods with very little effort. It's easy to use for loading, unloading and order picking and offers durability for a low cost. Do you need a hardwearing universal Hand Pallet Truck that performs in all applications? The BT Lifter is designed for a long lifetime of safe, reliable service, and provides optimum performance in all horizontal transport applications. - Unique lifetime guarantee on the fork frame. The BT Lifter Standard is ideal for every-day use in all types of applications. 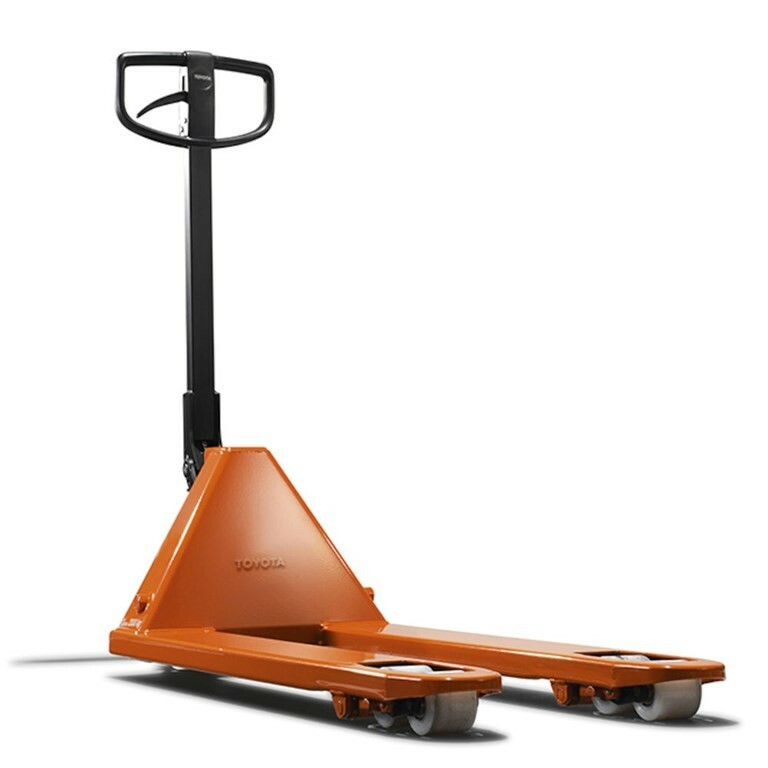 This standard Hand Pallet Truck comes with a classic design and a unique lifetime warranty on the frame. This long-lasting truck provides safe and efficient movement of your goods with very little effort. It's easy to use for loading, unloading and order picking and offers durability for a low cost.